During a run, do you ever wonder what you look like? When I start to feel tired or weak on my run, I'm pretty sure I look tired and weak, so I check my form. 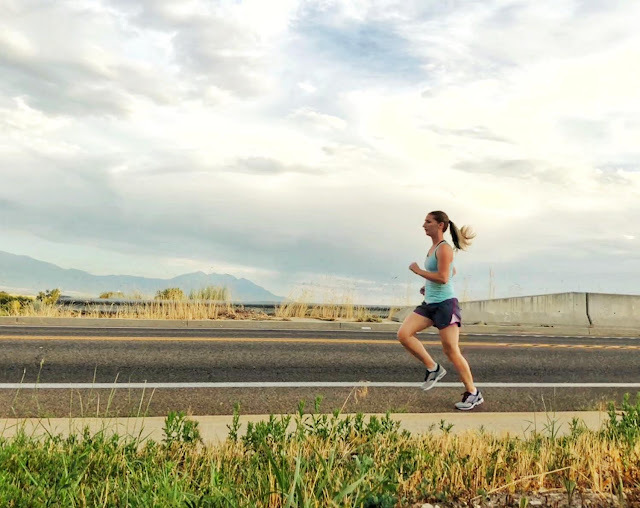 Good running form makes you look strong, why is that important? Well looking strong while you run has a lot of strong points to it (see what I did there?). Let's go through some of them. First, if you look strong during a run, chances are that your form is really good. Having great form will help you save energy for your legs instead of wasting it on things like your arms swinging out instead of front and back. The more energy you save with form, the more you have to use on speed and stamina. When you look strong on a run, it helps you mentally feel stronger. You focus on something other than any discomfort you're having and your brain switches to a better mentality than "When can I stop". Looking strong on a run, even if you don't feel it at the time, makes other people think you're feeling strong. That helps during a race. Have you ever been passed by someone and thought "there's no way I'm going to be able to catch them again"? In high school, we called this "siking people out" It messes with their mental game. If you're racing to place this comes in handy for passing people. It boosts your confidence. When someone comes up to you after a hard run and says that you looked really strong, it helps you feel stronger. It helps you think of all the hard work you did and helps you feel ready for the next one. I had this happen to me 3 different times last week. Twice on my long run and once on speed day. All three times the people asked how fast/far I was going and if I was just starting. Both runs felt extremely challenging. I was super thankful for all the compliments and glad that when I had started to feel weak I reset my form and kept going. So now that we know why, let's talk about how to look strong even if you're not feeling strong on your run. Most of this is form, (here's a little disclaimer that my form is not perfect. It never has been and it's taking me a lot of work to get it right. Everyone has something to work on with form). Checking your form from head to toe will help you reset your form and run stronger. When you start feeling tired, notice where your eyes are at. A lot of times when you start to lose energy on your run, you'll look down at the ground instead of looking straight ahead. So if that is the case, lift your chin a little and look straight ahead. When you're running strong you have good posture. When you feel tired, you start to slouch your shoulders and back. 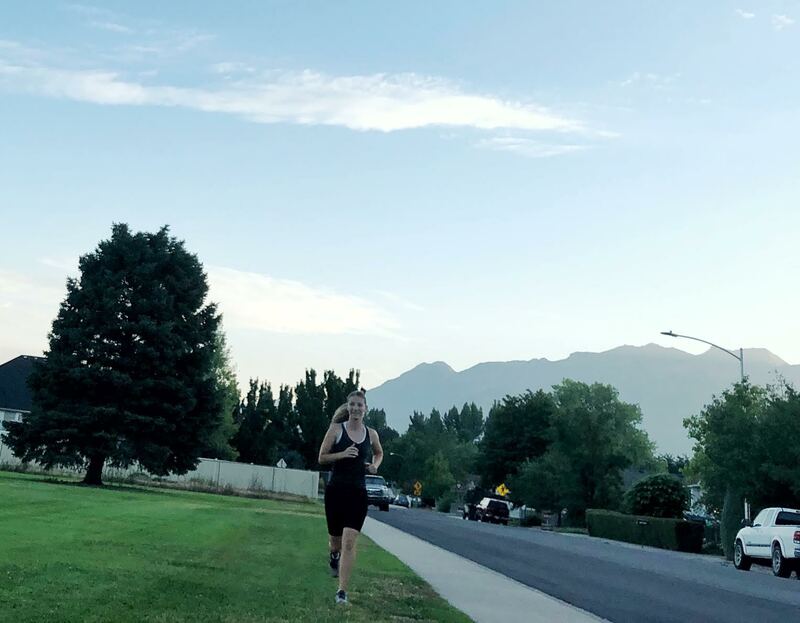 While you should never tense your shoulders up while running, you want to be standing tall. To help you get that back, reach your hands above your head and link your arms pulling away from your body. This stretches your whole core. Roll your shoulders back and down and keep going. Pay attention to your glutes. Some people are really good at using their glutes when they run. I am not. This is one of the first things to go when I'm feeling tired. My hip drop is pretty terrible. But if I'm thinking about engaging my glutes, it's easier for me to keep that form and not waste energy and risk injury with a hip drop. If you're heel striking a lot, shorten your stride a little bit. Heel striking puts more pounding on your joints and wastes a lot of energy. This is something I had to work hard to train myself and fix. Sometimes I still catch myself heel striking but when I notice it, I change it immediately. Fixing your form will help you look and feel stronger when you feel like you're getting tired. It will also help you run with good form, to begin with. What runs do you seem to struggle with the most? What is the first thing to go with your form when you start feeling tired? I'm sure my form is bad! I used the Lumo run for a bit last year and I think it did help me improve my cadence and posture. I've heard people say things about engaging their glutes and while it makes sense to me, I have no idea what I should be doing! Oh my goodness, me too! I try to engage my glutes on all my runs but I’m not sure it’s happening haha. I slouch and drop my hips when I get tired. I've gotten pretty good at NOT heel striking, but it does still happen occasionally. Me too. My heel strike has gotten a lot better but sometimes I catch myself doing it more. I definitely struggle to engage my glutes. I drop my hips the minute I start to fatigue. When I'm tired I slouch and let my diaphragm sink, making it harder to breathe. I remind myself to lift up, roll my shoulders back and let the tension run down my back. The first sign that my form is falling apart is I'll feel strain in my hip flexors. I over-pronate something horrible, and when I'm fatigued, the over-probation is magnified and pulls on my hips. When my legs start to feel heavy I know I am losing my form. I never thought about my gaze before but that makes sense I will pay attention to it. What Marcia said! 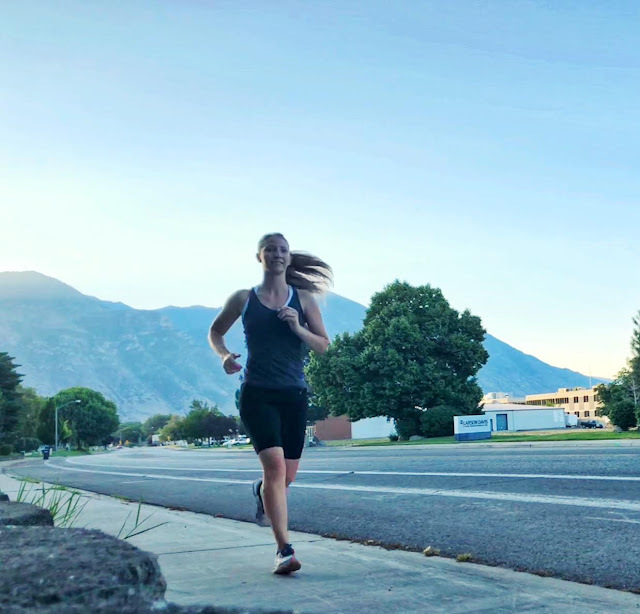 ^^ I"ve been running for over 25 years and back in the day as a new runner, I worked with a trainer on all kinds of things, including my running form. I've even written posts on it. The nice thing about the selfie revolution is that it gives runners a chance to look at their form. I've made adjustments based on what I see in my photos. When I start to feel sluggish, I take a walking break, or I stop and stretch my shoulders out. I def pay more attention to my form after dealing with some injuries in my past.